You'll be £4.99 closer to your next £10.00 credit when you purchase Cobra! The Attack Helicopter. What's this? Included alongside the authors text are first hand accounts that supplement the history, enlivening the facts with accounts of authentic pilot experience, the handling and flying characteristics that can perhaps only truly be described by those in command of such machinery. The work is brought thoroughly up to date with details of current deployment and uses in both combat and civil capacities. The employment of the Cobra by NASA and USCS illustrates its usefulness in a variety of fields, proving that the craft is so much more than a mere component part of the machinery of war. This book is sure to appeal to helicopter and aviation enthusiasts keen to enhance their understanding of this iconic type. It has been long defined, and with good reason, as 'the Spitfire of the helicopter world' – here it is granted the platform it deserves in order to be appreciated by a wider audience. Heartily recommended to all aviation enthusiasts. This heavily illustrated volume relays the story of the Cobra from the days of early development and concept dissection right through to modern day uses. The incredible photos run alongside an informative and entertaining piece of text. 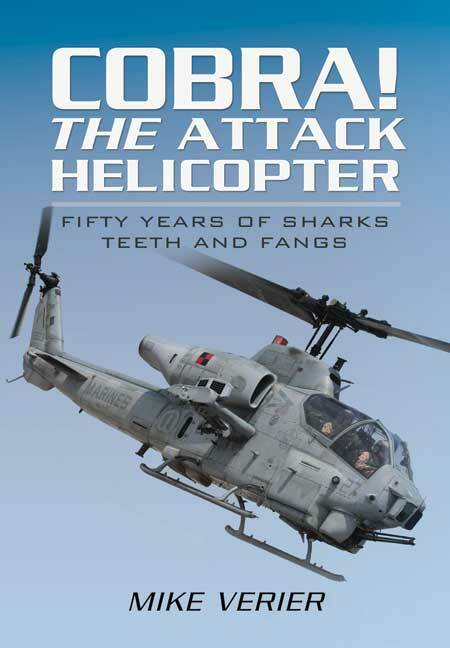 If you're interested in the Cobra or attack helicopters in general, this book is the essential purchase. This is a vital work on the subject and shouldn't be missed if one plans to build more than one or two examples. If one is really taken by the Cobra, though, the book definitely shouldn't be ignored. Without becoming too wordy the genesis [of the helicopter], from the first experiments with arming, is very readably revealed. Of course the life story of the COBRA is the main lead, from first VFR to finally all weather and even able to fly electricity cables to places. For lovers of helicopters a very interesting and good, readable book. A refreshing addition to any Cobra library. The author has obviously enjoyed a long close relationship with the Cobra community and has been able to include some unusual and rare photographs of experimental variants through his manufacturer and ex-service contacts. The end result is a very useful and interesting account of what was, after all, the first ever dedicated attack helicopter. An authoritative account of important piece of military hardware. For modellers, the clear explanations of developments and variants will go a long way in assisting an accurate model - and the fact that the author himself is a modeller of no small repute helps ensure the book is a valuable work of reference. Heavily illustrated throughout, with excellent artwork and diagrams, this is an essential read for anyone approaching this subject. Fascinated by aviation for as long as he can remember Mike Verier has been flying, writing about, photographing, illustrating and making models of aircraft for more than forty years. In addition to countless magazine articles and contributions to Aviation Journals and Encyclopaedias he has written and photographed books on subjects as diverse as the British Fleet Air Arm, the American 82nd Airborne Division and, of course, the Cobra.